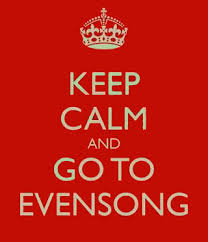 As an Evensong Society begin to take shape at Huddersfield Parish Church – every Sunday afternoon at 3pm some form of Evensong now takes place – no two weeks are the same. There are visiting choirs and organists, guest preachers and speakers, sometimes fully choral and sometimes quiet and meditative. This Sunday – 23 February, we welcome the ‘Huddersfield friends of Church Music’ to St. Peter’s.